Ulun Danu Beratan Temple is a Balinese hindu Temple located in Candi Kuning countryside, Baturiti sub district Tabanan Regency, about 50 km north side the way from Denpasar to Singaraja. It is set at lakeside Beratan Lake with beautiful lake view and surrounging by the hills. It is situated in the plateau area with cool atmosphere surround it and hills as a backdrop. We can find at north side of this temple Pucak Sangkur mount, in the eastside there is Beratan Mount which is also referred as Pucak Mangu or Pangelengan. In the south side there is Terate Bang Mount and in the westside there is Tapak Mount and Watukaru Mount. The name of Ulun Danu Beratan Temple is taken from the lake where the temple is built at Beratan Lake. The name of Beratan Lake is inseperable with the Beratan Mount as Deity and Goddes as fertility source, prosperity to keep the prosperity in life and society life. In papyrus of the Mengwi, this temple is referred as the name of Prahyangan ri pinggiring danu beratan (sanctum located in the lakeside of Beratan Lake). Ulun is come from Hulu word means head or power, and in this case is intended by Ulun Danu Beratan means power of Beratan Lake that is Danu Goddes. - Lingga Petak Temple owns the function to worship the Siwa God. - Penataran Pucak Mangu Temple is referred this gate as Prahyangan ri pinggiring rawa Beratan or Danu Beratan Temple is founded by I Gusti Agung Putu to worship the Hyang ing Parwata or Deity which is placed in Pucak Mangu that is Bhatara Hyang Danawa as according to papyrus of Padma Bhuwana and Usada Bali, because Mangu Mount is located in north direction, hence it is called the Bhatara Hyang Danawa or Wisnu God. - Terate Bang Temple is functioning to worship of Brahma God. - Dalem Purwa Temple is functioning to worship of Danu Goddes which is cisidered to be miraculous of the the Bhatara Hyang Danawa or Laksmi Goddes. Enjoy Private Bali Day Tours with our professional Bali Tour Office Driver are friendly guiding you to visit the beautiful panorama of tourist sites and other tourist destinations by performing their outstanding service together for your convenience and enjoyable during day tours. 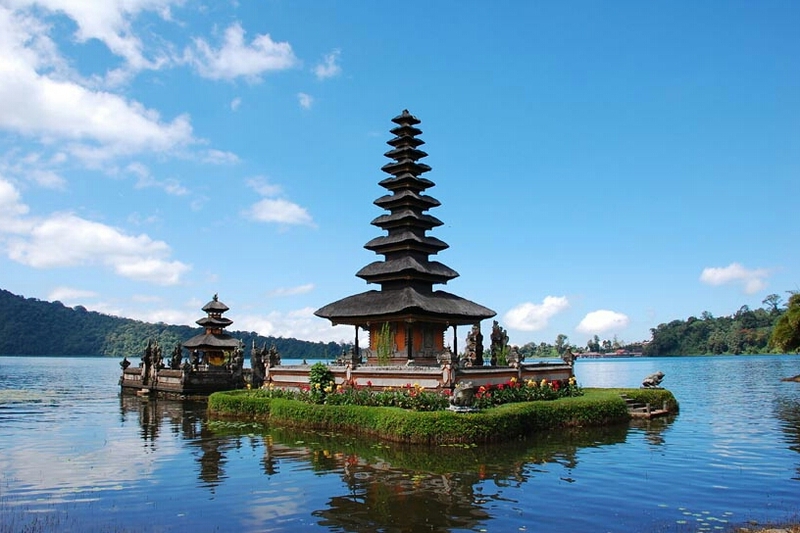 During Bali Day Tours you will be amazed with interest place we visit.